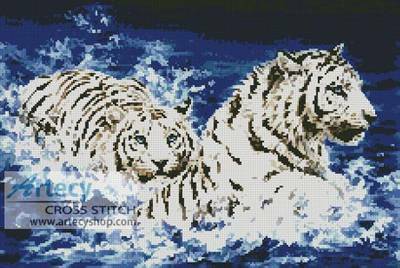 Chase cross stitch pattern... This counted cross stitch pattern was designed from the beautiful artwork of Kayomi Harai. Images Copyright 2006 Kayomi Harai. Kayomi's website can be found here http://kayomiharai.com Represented exclusively by Applejack Art Partners.